Construction isn’t just about building projects, its also about engineering, planning, gathering materials and inspecting sites to make sure everything is going smoothly. And it is in this that thermal imaging can really help us. 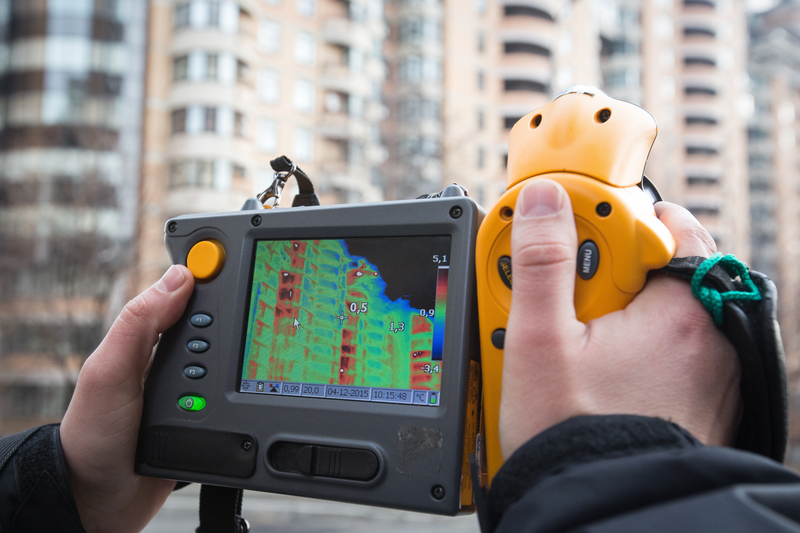 Thermal imagers have many useful applications in construction. They help determine the quality of a building site, construction, as well as assist in maintenance and help prevent major accidents. Before we go on, let us explain what is thermal imaging. Thermal imaging is a technology which uses handheld cameras that can measure and display the different heat levels coming off from objects. Cameras like these used to be expensive and had limited abilities to differentiate temperatures; however, thanks to advances in technology, they have much better capabilities and are more affordable now. Now, let us look at how Thermal Imaging can help in construction. Bad electrical installations can cause huge problems down the line like power failures and even fires. They can also be costly to repair. With thermal imagers, one can quickly check electrical systems for hot and cold spots, which can help locate overloaded circuits, motor bearing failure, issues with electricity distribution, and even loose connections and damaged wires. Energy efficiency is a must in construction, and nothing gets in the way of energy savings more than heat loss and air infiltration in a building. With a thermal imager, the engineer can detect where heat or air may be escaping from and seal them properly. This doesn’t just work for walls and vents, but for doors and windows as well. A leaky roof is very annoying; nobody likes to feel water dripping on their head when they’re working. Unfortunately, finding these leaks can be very difficult. However, with thermal imagers, maintenance crew can find water leaks more easily since the water will most likely be of a different temperature to the surrounding area and therefore show up readily on a thermal imager. No one likes a blocked toilet, shower or tap. They are annoying and take time, effort and money to repair. However, with thermal imagers, unclogging a pipe becomes a lot easier, faster and much more cost effective. All you need to do is run hot water through a pipe and then use a thermal imager to find the block which will be a different temperature than the rest of the water. When outer tiles or the exterior spray finish of a building are warmed by the sun, the heat from the surface normally gets conducted away into the surrounding building frames of concrete or other materials. However, if there is flaking or peeling, it creates a space between the frames and the external materials causing the temperature to be higher than normal. Thermal Imaging is a simple way to measure the surface temperature and estimate flaking and peeling of the wall surfaces and repair them before the damage can progress further.